This is not part of the JazzMN’s regular season, but a special performance at the annual Roseville Winter Jazz Blast at Northwestern College. The day is devoted to competing student bands and soloists; the winners will also perform with the JazzMN in the evening concert. 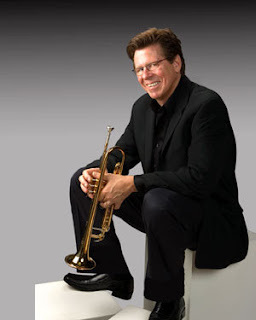 Bergeron is an in-demand studio trumpeter who has performed and recorded with Maynard Ferguson, Ray Charles, Diana Krall, Gordon Goodwin’s Big Phat Band, and others. This will be big and brassy. 7:30 p.m. Saturday, Maranatha Hall, Northwestern College, 3003 Snelling Ave. N., Roseville. $15; $12 TCJS members; $5 students. Tickets online or call 651-631-5151 or 866-821-5151. The great pianist/composer, NEA Jazz Master, and three-time Grammy winner was here in 2009 (at Orchestra Hall) and again in 2010 (at the Dakota). His shows are on the pricey side, so I almost skipped mention of this week’s performances until I learned something that surprised me: Instead of bringing his regular trio of Larry Gray on bass and Leon Joyce Jr. on drums, Lewis is traveling with new collaborators, Joshua Ramos on bass and Charles Heath on drums, two young dudes out of Chicago. He’s also likely to be playing more of his own music. 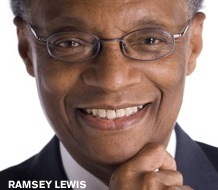 Lewis discovered a passion for composing a few years back, in his early 70s, and has been writing steadily ever since. So—pricey, but probably worth it. 7 and 9 p.m. Tuesday and Wednesday, Dakota ($70-$55/$50-$40). Tickets online or call 612-332-5299 (JAZZ). Also worth noting: Bruce Henry plays Hell’s Kitchen on Friday. The Dave King Trucking Co. performs at the Loring Theater on Saturday. The delightfully quirky Nellie McKay returns to the Dakota next Thursday. And in case you haven’t heard, the Dave Holland Quintet, originally scheduled for January 24-25 at the Dakota, has been postponed. The Roy Hargrove Quintet will play in their place. Find the details you need on the live jazz calendar here or to your right. We continue to focus on gigs we should not take for granted. Nothing is forever. Pizza and jazz? Why not? Fireside has been making it work for years. José James got his career start there (Malmberg was his teacher). The late, great Bobby Peterson was once a regular. So was guitarist Clay Moore, before he abandoned us for Texas. Since 2005, the headliners have been Michelle on vocals, Malmberg on keys, with occasional substitutions when one or the other is on tour or unavailable. Backed by cases of beer and soft drinks, they perform the Great American Songbook. Musician friends come to hang out and sit in. It’s cozy, casual, and fun. Fireside Pizza, 6736 Penn Ave. S., Richfield; 612-869-4040.